It’s time for the Rock Prodigy Summer Sessions Photo Contest, where you share an inspirational selfie of you and your guitar. There is a RP Prize Pack for the winner, but first the details on how to enter. 2. Find the “Status” box at the top of the newsfeed where it says “What have you been up to?” and drag your photo entry into the box, or click on the camera icon just under the box and upload one of your photos. This posts your photo to the Rock Prodigy Facebook wall for everyone to see. 3. 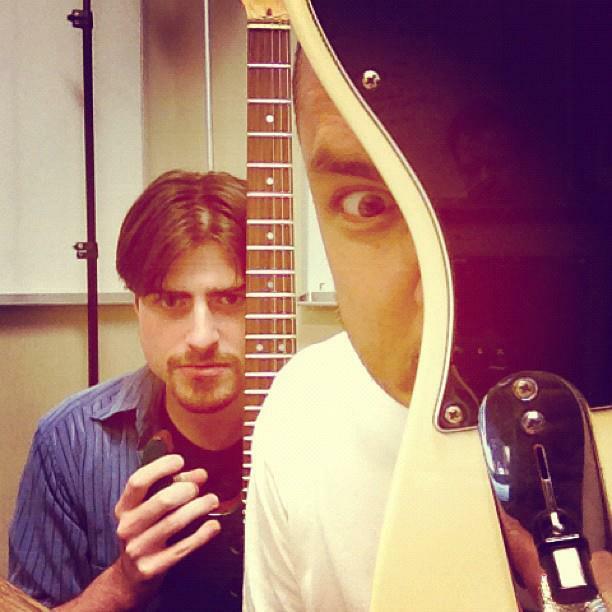 Include the text “#guitarselfie” in the text box associated with the photo. Be sure to identify what lesson, exercise, riff or song you are working on and share a story of the photo if you can. Important: Entering the contest indicates to us that it’s your original photo, and that we have your permission to share it on our Facebook page and social media sites. Deadline for entering is Midnight Pacific Daylight Time on July 28th, 2014. Then we will allow Rock Prodigy followers to share and discuss the entries for a week. On August 4th, 2014, we will announce the winner from among the most popular entries. You may enter up to five photos in the contest. The winner will receive a Rock Prodigy Summer Sessions Prize Pack, including a Rock Prodigy hat, t-shirt (L or XL) and guitar picks. We will also feature your picture on the Rock Prodigy social media pages. Have a great time taking fun photos to share. Looking forward to seeing what you come up with! ← The Milestone song “Cajon Pass” will take you over the peaks and valleys of your basic fretting technique.